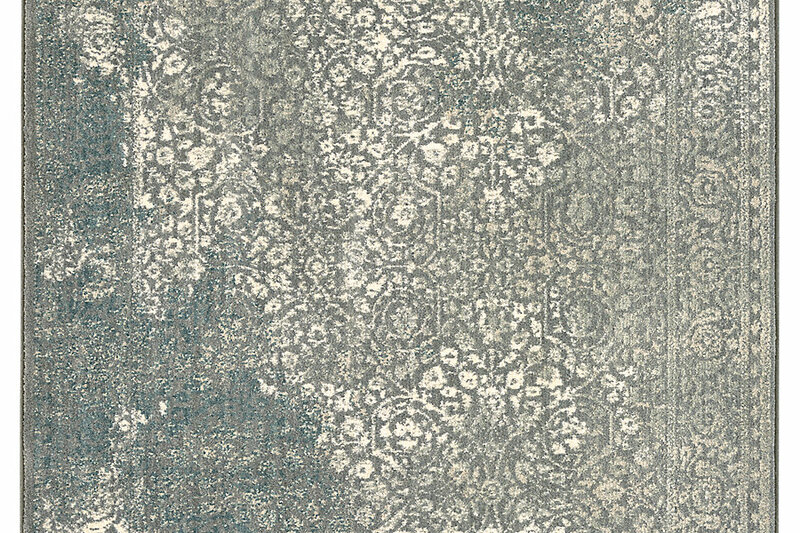 These carpets are all made with a manmade proprietary fibre called SmartStrand Silk (more news on that a bit later in this post). But to summarize, it's a carpet fibre that combines incredible durability and stain-resistance with luxurious softness. Win, win and win. And those patterns! Fantastic. I think I'm having a love affair with that animal print. I see it over a pale white oak floors with flax coloured crinkly linen slipcovered sofas, vintage leather safari chairs and a Nakashima live-edge coffee table.....are you with me? And speaking of animal print, BAM! Karastan has you covered no matter which furry creature's coat pattern you prefer. This lovely one above is Savanna Scenes in Snow Leopard. Purrrrfect for a stair runner or dressing room. Earlier I mentioned SmartStrand Silk, well the biggest news from Mohawk is actually an update on that fibre. The new version, SmartStrand Silk Reserve, is even softer and even more durable than its predecessor, which debuted in 2012. With the two samples side-by-side it was very easy to feel the difference. Trust me folks, I did the caress test. SmartStrand Silk Reserve is super soft and cozy. Another section of the display included a video showing that Mohawk installed this carpet in a rhino pen at a zoo, then took the carpet out and cleaned it. Samples were on hand of the actual carpet before and after rhino time. What a kooky idea. But it really did perform well. Just in case show attendees didn't have a frame of reference for the wear and tear a rhino can cause (after all, who has one of those as a house pet? ), this fun graphic put it all in perspective. 1 rhino = 337 Doug the Pugs. OK, got it. As a lover of small pudgy snorty K9s, this made things crystal clear. HA! P.S. Can you believe Doug the Pug has 5.5 million likers on FB? Later that evening at the Ritz Carlton Orlando, the folks from Mohawk hosted a cocktail reception called Barefoot & Bellinis. You see, touching a little circle of carpet in a trade show display is one thing, but kicking off your shoes and swanning around barefoot on the carpet, champagne in hand, is quite another and more compelling way to engage with the product. Bravo to Mohawk and our tour hosts from Modenus for this genius event idea. As you can see, some people REALLLY got into the spirit of things. And to those of you unfamiliar with the BlogTour phenomenon, this photo sums it up. Great times. Pssssst, I'll let you in on a little secret. As a prop and room set stylist I use wood-look vinyl plank flooring all the time to create the look of luxurious wood floors while shooting in photo studios. As we say in the business, it shoots like a dream. This version from Mohawk called SolidTech, is remarkable for its array of colour and pattern choices. But it's not just great for its looks. Performance is key and that's what makes it a good choice in real life as well as for photo shoots. As the display at the booth demonstrates thanks to a perpetually overflowing sink, this stuff is waterproof. It's also easy-peasy to install. It's absolutely perfect for basement installs, or a cottage that gets closed up in the cold months, or for rental suites or even a busy family kitchen on a budget. Here are two great colours I'd recommend. The top one gives you the look of wide plank white oak and it's a great mid-tone that will never go out of style. The bottom one has a whitewashed effect that would be great to bring lightness to a dark basement or a summer home or pool house. Here's one last head's up on a Mohawk product I spotted at Lowe's after returning from KBIS, This is Mohawk hardwood called Glacier Oak and it's so wonderful. The grain shows through in a way that you can't really get with painted floors. To be sure, you'd have to work a little harder to keep it clean but I think that would be totally worth it. I'm designing a dozen spaces around this stuff in my head. My trip to KBIS 2017 in Orlando, Fla was partially sponsored by Mohawk. Special thanks to #BlogTourKBIS organizers Modenus/Design Hounds. The ideas, words and design of this post are all my own.